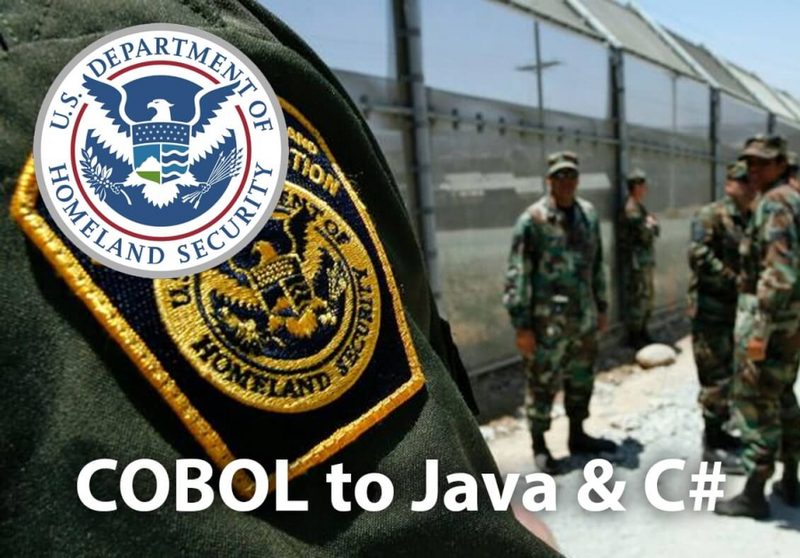 This project included the modernization assessment of the Customs and Border Protection (CBP) Cargo ACS/Quota (QUOTA) Pilot code from COBOL/CICS to Java or .Net. A Transformation Blueprint® (Baseline Documentation) was created to illustrate the structure and flow of the proposed modernized code, and support future code maintenance and system restructuring and/or enhancement. 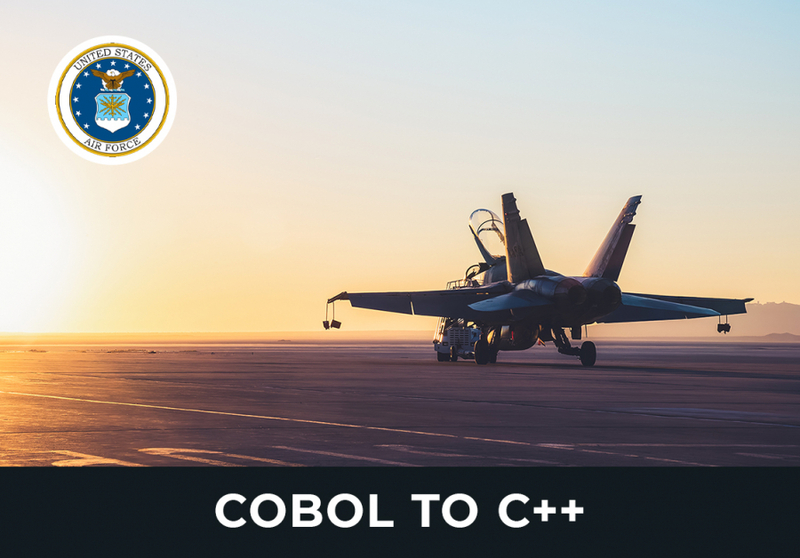 TSRI contracted to transform the Boeing WIRS System from COBOL to C++ using an automated modernization plan. This was done in 2 Phases. 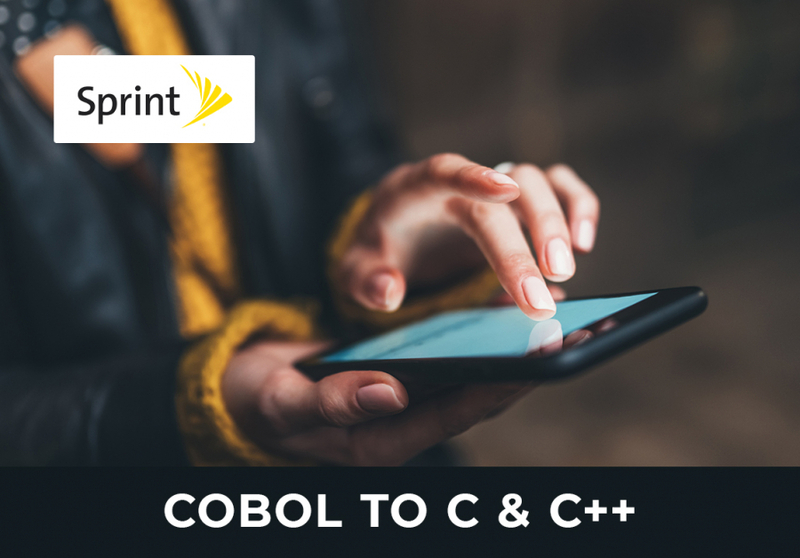 In Phase 1, TSRI created an Application Blueprint® modeling the existing legacy COBOL and a Transformation Blueprint® document modeling the “To-Be” C++ code in a side by side view with the legacy COBOL code. 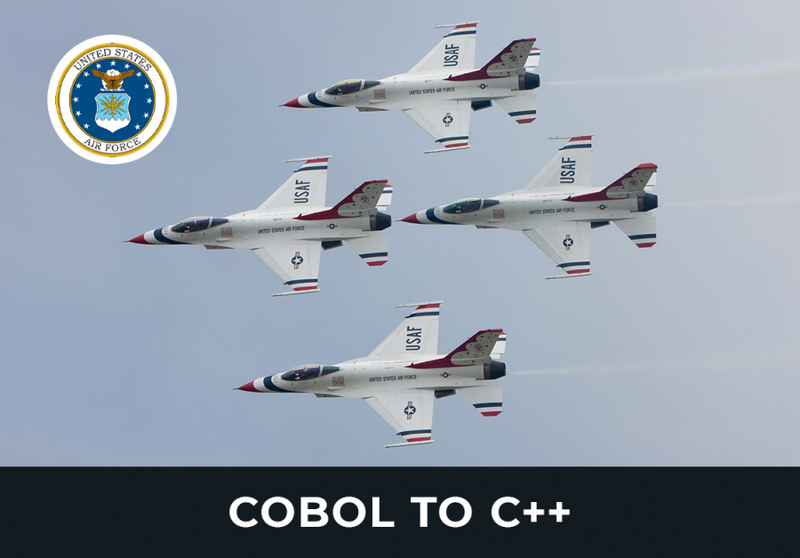 In Phase 2, the WIRS COBOL code was transformed into modern C++ using TSRI’s JANUS Studio®. TSRI also built a Python output gateway to support transformation of the 60,000 LOC of JCL into Python. TSRI is currently supporting testing and integration for Boeing. CSC was contracted to modernize AT&T's Billing application, written in C code. TSRI was subcontracted to perform the Automated Documentation using JANUS Studio® . 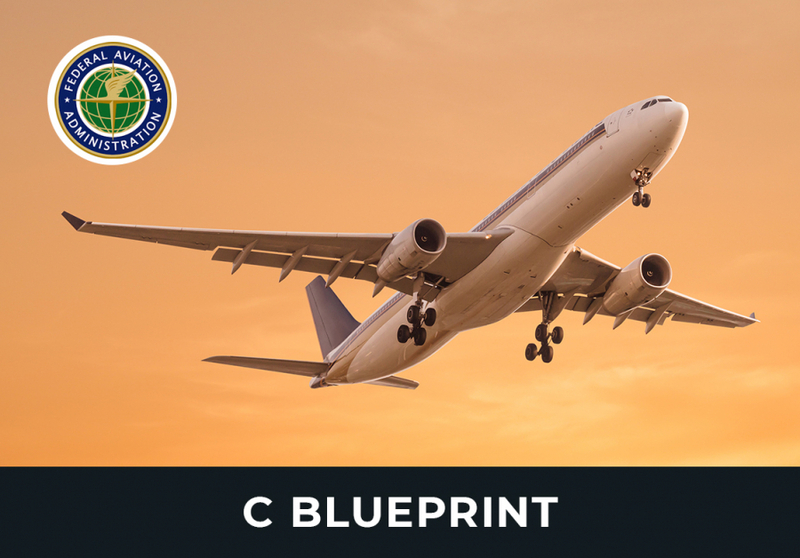 TSRI also provided Engineering Support to CSC, including program management, documentation issue resolution, effort to modify the blueprint, blueprint reviews, blueprint documentation refresh, blueprint customization and defect resolution. General Dynamics (GDAIS) was contracted by the Naval UnderSea Warfare Center to automatically transform the Naval Undersea Warfare Center submarine Weapon Control System (WCS). 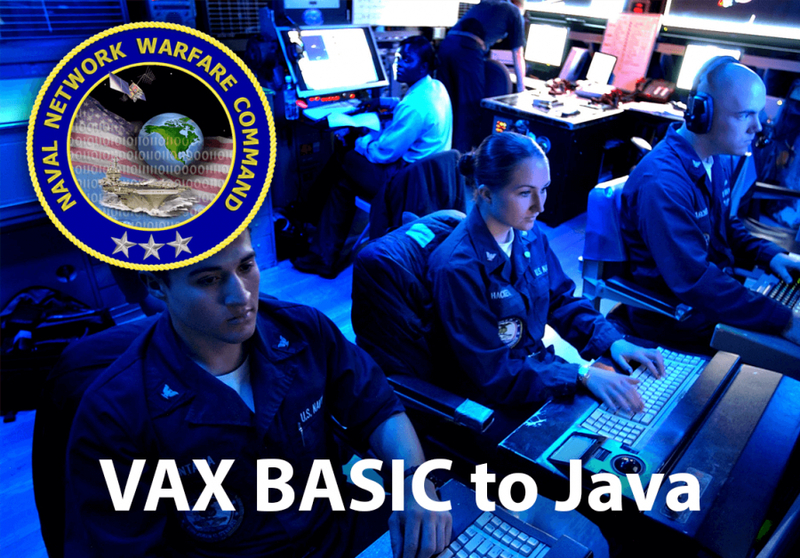 The NUWC WCS is a highly classified system and required that GDAIS set up TSRI tools within a secure environment at the Bangor Naval Base (NUWC Division). 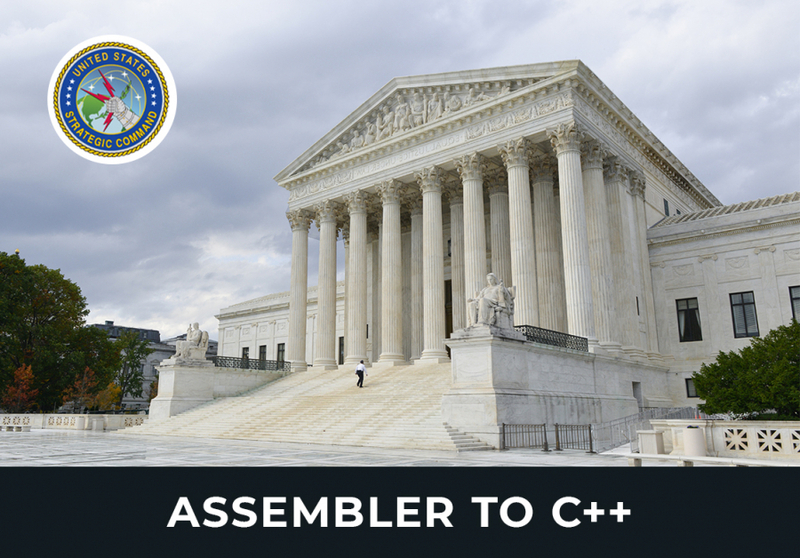 In that secure environment, TSRI staff used the JANUS Studio® toolset to transform the classified WCS ADCAP code into modern C++ code, and returned the code back to GDAIS for re-integration into the existing WCS base code. 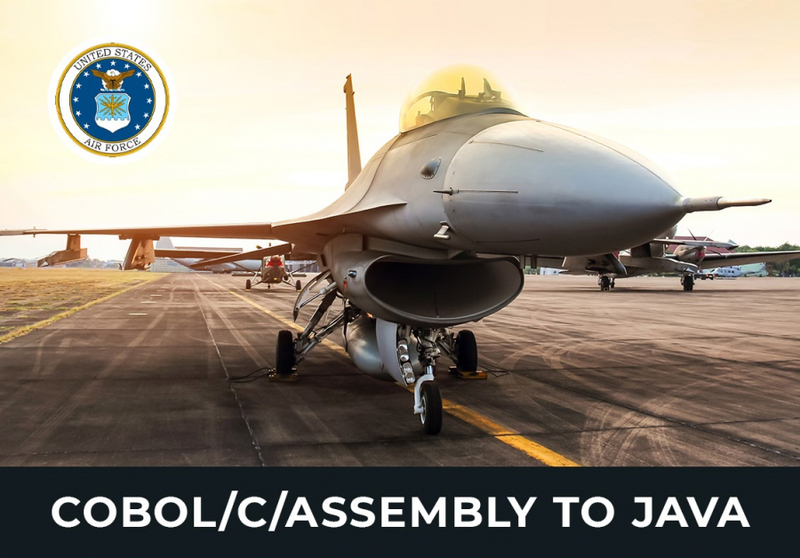 In August 2012, BAE Systems received an award from South Korea's Defense Acquisition and Procurement Agency for a multiyear project to upgrade 134 Korean Air Force F-16 (KF16) fighters. The upgrade included obsolescence management for the computers and operating systems for near real-time tactical data and voice information and including the Core operational flight programs: Advanced Mission Computer (AMC), Upgraded Central Interface Unit (UCIU), Cockpit Display Generator (CDG) and the Center Pedestal Display (CDP). 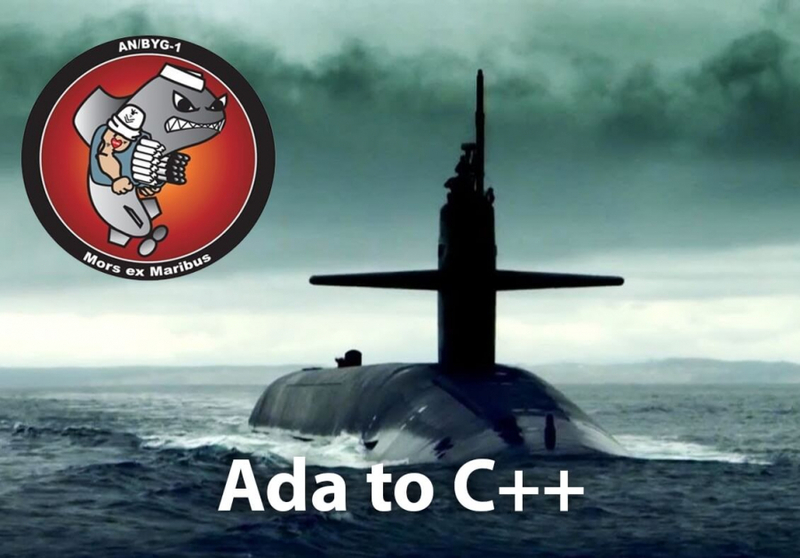 BAE Systems employed TSRI for their modernization services to modernize and document the Jovial source code to C++. 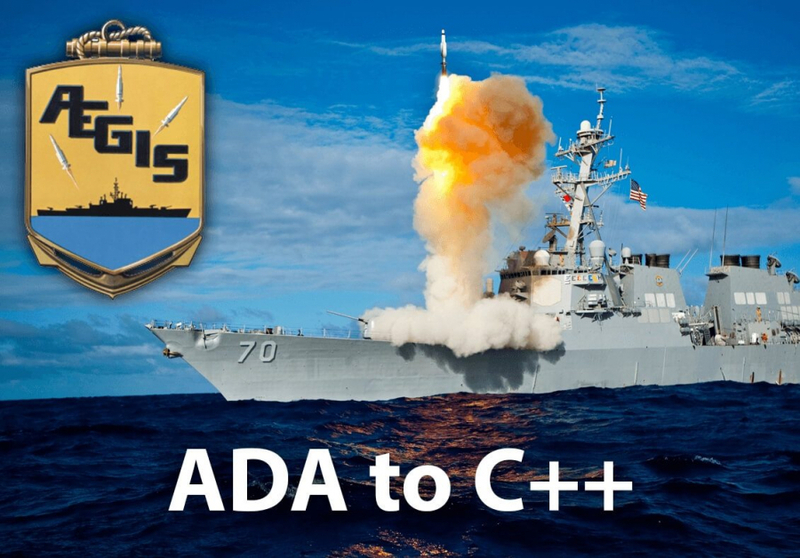 One of the major integrators in the CANES competition contracted with TSRI to model and build application blueprints for the Aegis ACB-08 Ada and C++ software system to demonstrate the feasibility of developing a product line architecture approach for managing the software upgrade cycles as well as to reduce the cost of modernization of the Aegis software systems. 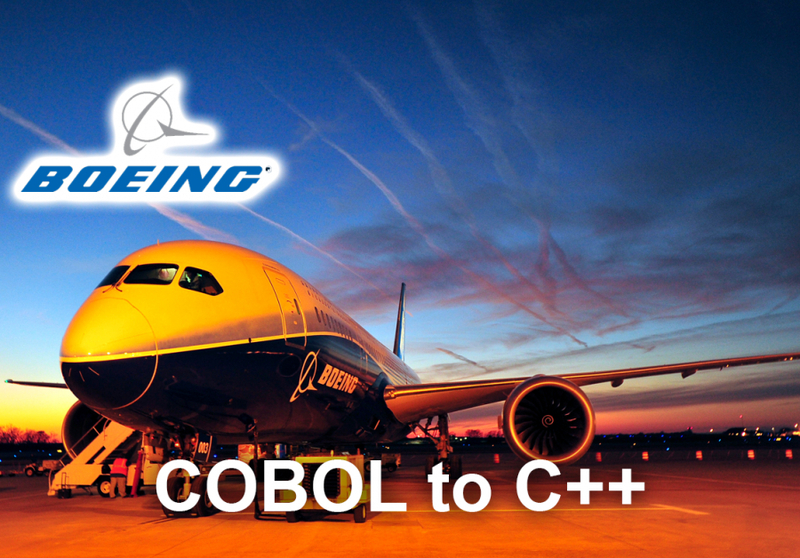 Services: Application Blueprint® for the Aegis ACB-08 Ada and C++ System. Demonstrated automated conversion and consolidation of all code to a common language, from Aegis Ada code to C++. 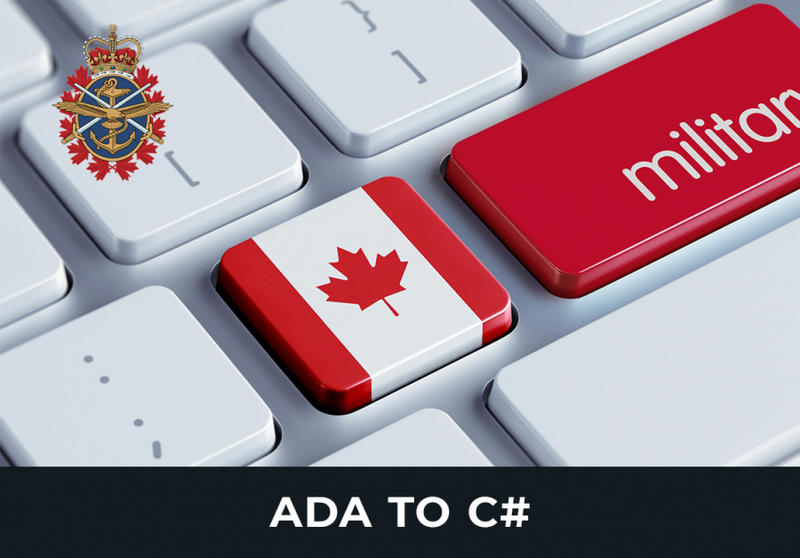 Generated Transformation Blueprint® of Ada to C++ for the Ada code in the ACB-08 baseline. Identified redundant code, duplicate code, dead code and extracted comprehensive design and architecture models. Raytheon contracted with TSRI to modernize, refactor, and develop code-level documentation for the Global Positioning Navigation and Timing Systems (GPNTS) Navigation Sensor System Interface (NAVSSI) Replacement Project. These systems support combat, command and control, information and other mission critical capabilities. With maintenance costs increasing for the national crime information tracking system, a significant portion of the agency's crime fighting budget was required for hiring staff with experience maintaining mainframes, non-adherence to the Common Operating Environment (COE) adding to costs, and aging technology (IBM Mainframe, DB2, CICS, CA-GEN, COBOL, Assembler, C, MQ Serices , JCL) making enhancements difficult to perform, the nation crime fighting agency initiated a Legacy Migration study to assess migration from the current legacy application architecture to an open Java/JEE application architecture. The U.S. Army Medical Research & Materiel Command Telemedicine and Advanced Technology Research Center (TATRC), on behalf of Military Health System (MHS), entered into an Cooperative Research and Development Agreement (CRADA) for TSRI to prove feasibility of techniques for architecture-driven modernization and consolidation of MHS and VA MUMPS & VB6 legacy systems into the Enterprise Generation Language (EGL) for migration to the DoD/VA Enterprise Service Bus (ESB). TSRI modernized a legacy DEC BASIC V 1.4 system, using a RMS VSAM database, into fully normalized Oracle 11g relational database PL/SQL using stored procedures (SP) running on IBM P-Series with the AIX 6.1 OS. To support the high volume transaction requirements associated with providing services for millions of shareholders of the several thousand public companies serviced by our client, TSRI made extensive optimizations during the modernization by rationalizing and normalizing the database, generating PL/SQL access logic for the normalized DB , excising screen logic to support UI replacement, and encapsulating the derived SPs as services in a multi-tier, multi-tenant, parallel, service-oriented (SOA), cloud-based run-time architecture. Amdocs Limited is a premier provider of services for billing, customer relationship management (CRM) and operations support systems (OSS) for the telecommunications industry. 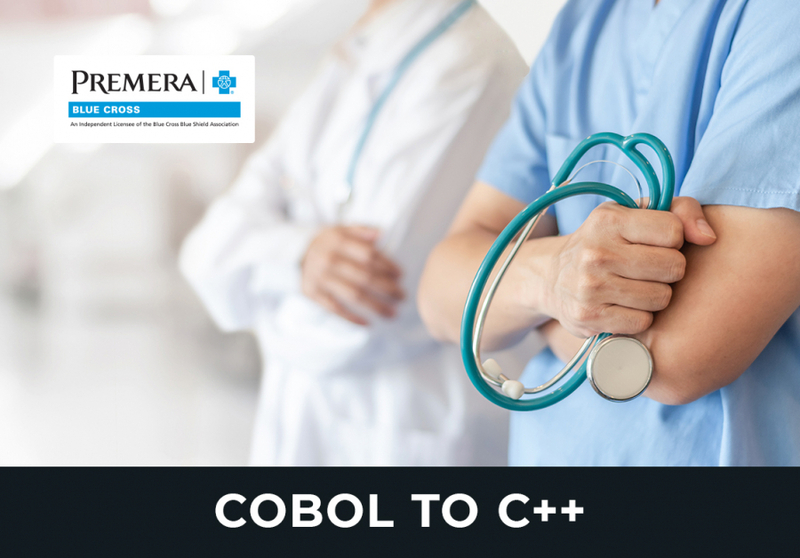 One of Amdocs’ major clients is the Sprint Nextel Corporation, whose billing, operations support and customer resource management services were written in about 5 million lines of MicroFocus COBOL and Pro*Cobol code, with an additional 5 million lines of C/C++ code. After evaluating several options, TSRI was selected as Amdocs' preferred vendor for modernizing this critical system and improving Sprint's ROI. Stanley and Assoc. contracted TSRI to modernize the Battle Command Software - Advanced Field Artillery Tactical Data System (AFATDS). This system is an integrated system that provides the Army, Navy, and Marine Corps automated fire support command, control and communications. Prior to this modernization, AFATDS was written in legacy Ada-83. The target code selected for the AFATDS modernization was Java. ITT Corporation awarded a sole-source contract to TSRI for modernization of the SENSOR Radar Calibration System (SRCS) of the Ballistic Missile Early System (BMEWS) under the Air Force’s System Engineering & Sustainment Integrator (SENSOR) program. 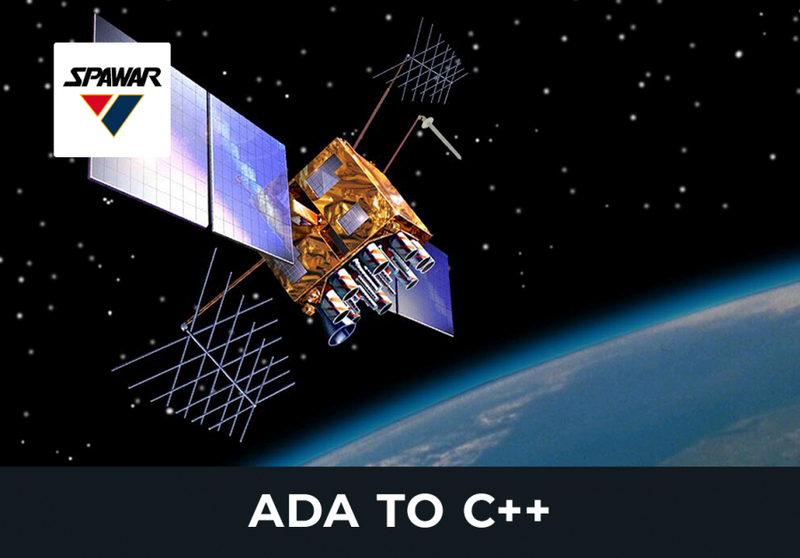 This project involved the transformation of multiple source languages to modernized C++. As part of the Logistics Management System, the Weapon System Management Information System (WSMIS) is responsible for tracking combat capability and impending parts problems. The system was well regarded during Desert Storm for its ability to expedite repair or procurement of critical items. However this legacy COBOL system requires modernization to continue to fulfill its mission. A highly classified application, consisting of Fortran 77 and Fortran 95, required modernization to JAVA. SANDIA, a wholly owned subsidiary of Lockheed Martin, contracted with TSRI for the use of its JANUS Studio® to complete the code transformation in a secure facility. Lockheed Martin Corporation (LMCO) was tasked with a modernization project involving two systems, MEMSIZE and NEWSCAN. The first system contained 3,096 LOC and the latter contained 9,674 LOC, all Fortran 77. 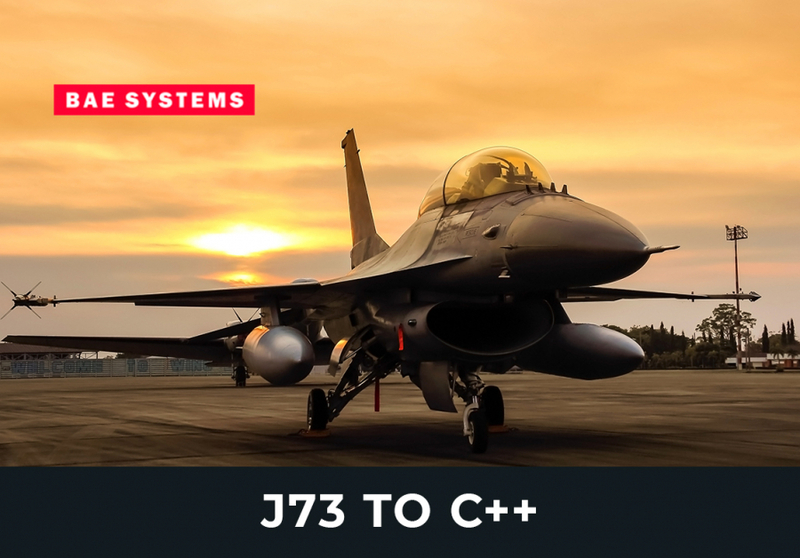 Lockheed Martin selected TSRI to modernize these systems into C++ using its automated toolset, JANUS Studio®. L-3 Communications Corporation awarded a sole-source contract to TSRI for modernization of the the U.S. Army’s Variable Message Format Test Tool (VTT). The Reliability & Maintainability Information System (REMIS) is a key component of the Air Force Depot Maintenance System. 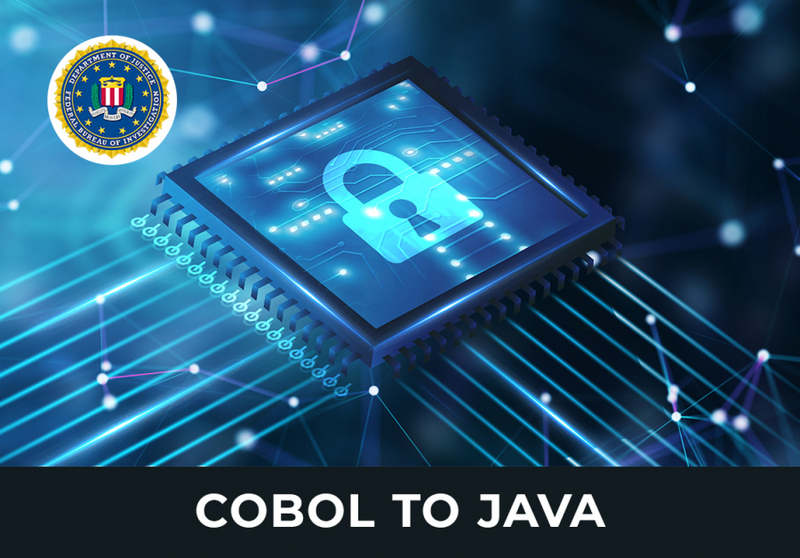 REMIS consisted of 1.1 million lines of source code written in COBOL85, TAL and C. The system runs on a Tandem Symmetric Multiprocessor with NonStop SQL/MP DDL and a Tandem database. TriGeo Network Security, Inc. awarded a sole-source contract to TSRI for documentation and Refactoring of TriGeo’s primary product offering. This "Roundtripping" process involves taking in a client's code, applying pattern based refactorings to change and improve the code without changing the functional equivalency of the application. The State of Washington’s Office of the Superintendent of Public Instruction (OSPI) awarded a sole-source contract to TSRI for modernization of the State’s Apportionment System. General Dynamics awarded a sole-source contract to The Software Revolution, Inc. (TSRI) for the modernization of the Canadian Armed Force’s Crypto Material Management System (CMMS). EDS awarded a sole-source contract to The Software Revolution, Inc. (TSRI) for a Proof-of-Principle project to demonstrate an automated transformation, documentation, and refactoring capability for the PL/1 source language. Northrop Grumman Mission Systems was tasked with the modernization the Mission Planning Enterprise Contract (MPEC)-related Autorouter. This system was written principally in legacy FORTRAN code. Northrop Grumman contracted TSRI to employ their automated modernization processes in this task, which also included the removal of dead and duplicate code, and the automated production of bridge documentation. Lockheed Martin Corporation was tasked with the modernization of the Acoustic Signal Processor System (ASP) on the Navy's P-3C Orion aircraft. 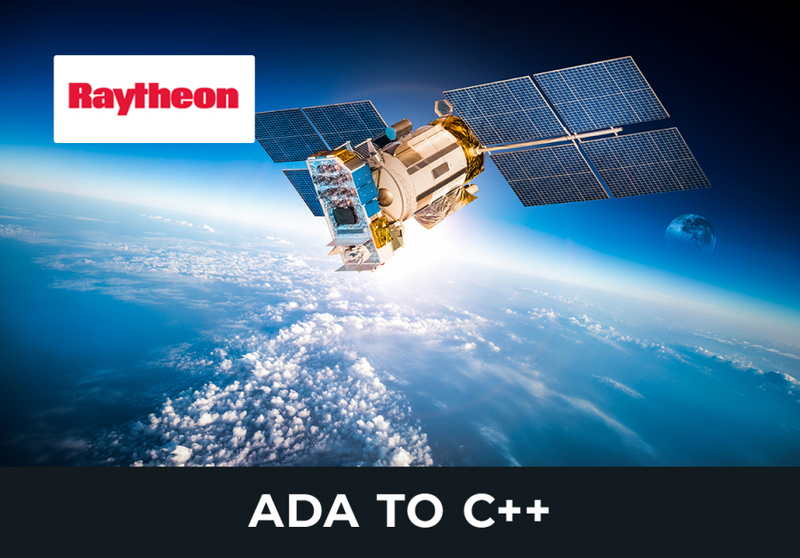 Lockheed Martin awarded TSRI a sole source contract as the only viable provider of 100% automated Ada to C++ transformation. ITT Corporation awarded a sole-source contract to TSRI for modernization of the COBRA DANE Radar Calibration System (SCRS) of the Ballistic Missile Early System (BMEWS) under the Air Force’s System Engineering & Sustainment Integrator (SENSOR) program. As part of the Logistics Management System, the Weapon System Management Information System (WSMIS) is responsible for tracking combat capability and impending parts problems. The system was well regarded during Desert Storm for its ability to expedite repair or procurement of critical items. 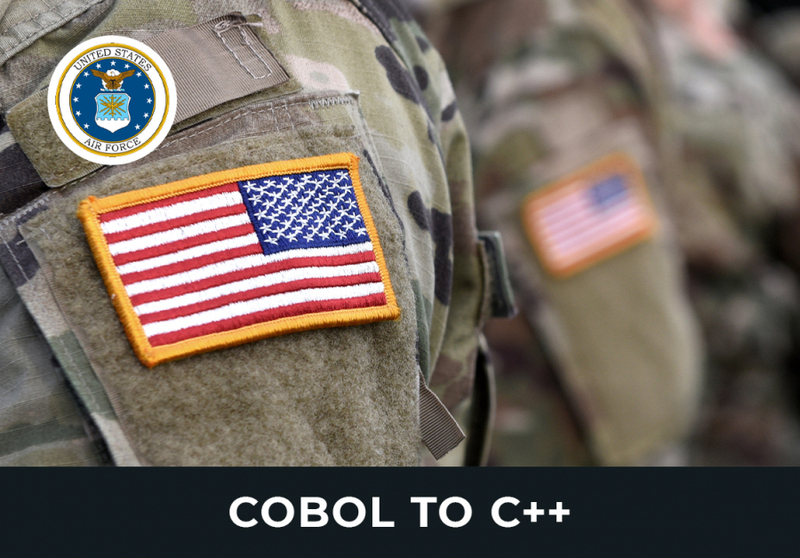 However this legacy COBOL system required modernization to continue to fulfill its mission. 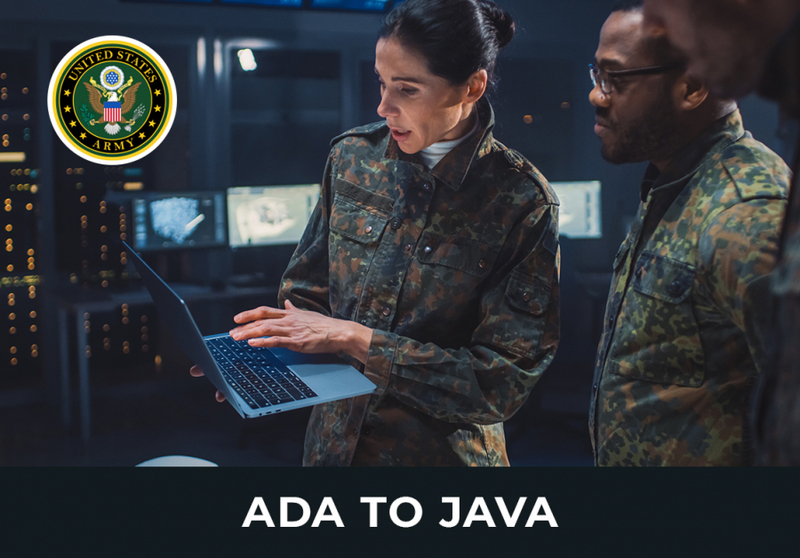 STG, Inc. awarded a contract to TSRI for the transformation, refactoring and documentation of the Department of Defense Activity Address Directory (DODAAD) system, along with re-hosting the system's database. The Defense User Registration System (DURS) of the Defense Technical Information Center (DTIC) consisted of a UNISYS 2200 COBOL application running within the DPS form-based presentation system (DPS 1100). 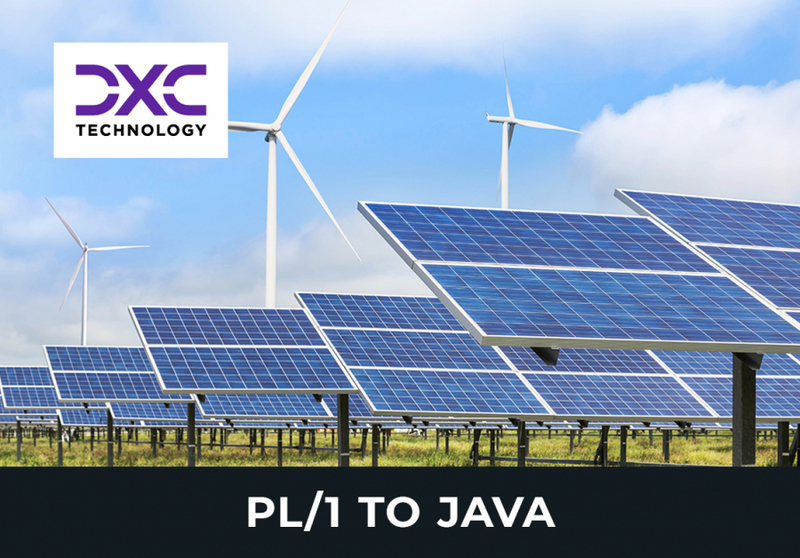 DURS required conversion into a Java/J2SEE multi-tiered application to support DTIC modernization requirements. ITT Industries awarded a sole-source contract to The Software Revolution, Inc. (TSRI) for Documentation of the Radar Open Systems Architecture Systems (ROSA), a component of the Air Force Space Command’s Ballistic Missile Early Warning System (BMEWS). The US Navy, under the auspices of the Navy E-Business office, undertook a major pilot program to assess the feasibility and business value of using commercial automated transformation software to convert legacy code into modern, object oriented, NMCI compliant code. This project involved the creation of a new gateway into TSRI's toolset, as well as code transformation, documentation and refactoring to improve maintainability and performance. The US Navy, under the auspices of the Navy E-Business office, undertook a major pilot program to assess the feasibility and business value of using commercial automated transformation software to convert legacy code into modern, object oriented, NMCI compliant code. The Oregon's Public Employees Retirement System (OPERS) serves approximately 300,000 employee members, inactive members and retirees from more than 850 public employers. OPERS required a major maintenance action of the OPERS Benefit Estimation Subsystem (BESS) and Benefit Calculation Subsystem (BCSS) to address changes in Oregon State retirement regulations. TSRI's automated refactoring capability was used to consolidate the applications and remove dead and redundant code. United States Strategic Command (USSTRATCOM) Integrated Strategic Planning & Analysis Network (ISPAN) uses a net-centric operational war construct to integrate data from space-based, ground-based, and airborne sensors to provide real-time global situational awareness, alerting commanders to potential threats. In 2003, the functions of the US Immigration and Nationalization Service (INS) were taken over by the new Department of Homeland Security (DHS), including the BCIS FBISHED system written in the COBOL language. CSC contracted with TSRI as its sub-contractor to conduct a pilot project demonstrating the technical feasibility of automated modernization technologies. The U.S. Air Force's Weapons System Cost Retrieval System (WSCRS), designation H036C, was written in COBOL running on an Amdahl-5890 platform and using a flat file data base. The system required modernization by the Wright-Patterson Mission System Group (MSG) to improve base support for the Air Force weapon financial systems. TSRI transformed 100% of the WSCRS COBOL code into C++ and facilitated an error-free delivery to the customer several weeks ahead of schedule. Navigant Consulting Services was given the task of modernizing The Corporate Maintenance & Stop Loss System of a major U.S. company. This legacy system was written in the PowerBuilder and Magna-X software languages. Navigant contracted with TSRI to perform the code transformation of both languages into Java, refactor the application to improve performance, and produce bridge documentation. The U.S. Air Force's Weapons System Cost Retrieval System (WSCRS), designation H036C, was written in COBOL and run on an Amdahl-5890 platform with a flat file data base. The system required modernization by the Wright-Patterson Mission System Group (MSG) to improve base support for the Air Force weapon financial systems. The purpose of this effort was to assess the Core Automated Maintenance System (CAMS), a large high profile Air Force logistics system. 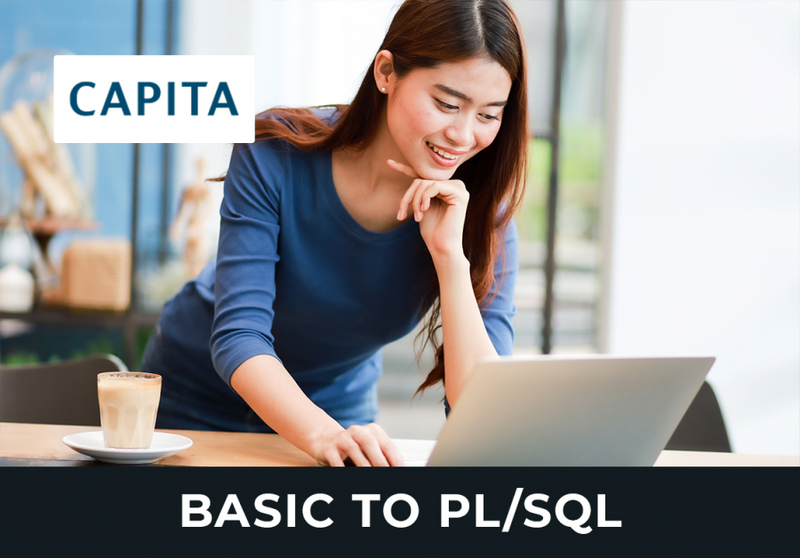 This assessment was needed to provide comprehensive high-quality "As Is" functional analysis-level UML design documentation to support analysis of business processes and business rules in the system. The final deliverable was delivered on time, and consisted of over a million pages of HTML and Scalable Vector Graphic, with over a hundred million hyperlinks. The Reliability & Maintainability Information System (REMIS) is a key component of the Air Force Depot Maintenance System. 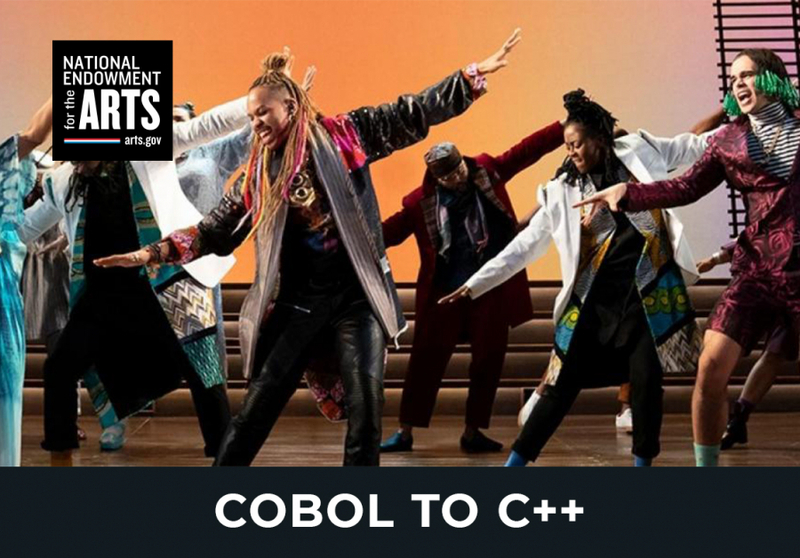 REMIS consisted of 3.1 million lines of source code written in COBOL85, TAL and C. The system runs on a Tandem Symmetric Multiprocessor with NonStop SQL/MP DDL and a Tandem database. Northrop Grumman IT (NGIT) maintained REMIS at Wright-Patterson AFB for the Air Force Material System Group (MSG). The L-159 Advanced Light Weight Combat Aircraft (ALCA) is based on the proven airframe design and aerodynamic configuration of the L39 Albatross and L59 family of basic and advanced jet trainers. ALCA incorporates a high-performance military turbofan engine, advanced avionics and sensors. TSRI was asked to assist The Boeing Company in modernizing the ALCA Integrated Tactical Avionics Program (ITAP). ITAP, originally a real-time embedded J73 JOVIAL program, required transformation to modern C++. Northrop Grumman Information Technology was tasked with the modernization of the Joint Mission Planning System (JMPS) for the US Air Force, US Navy, and US Marine Corps. 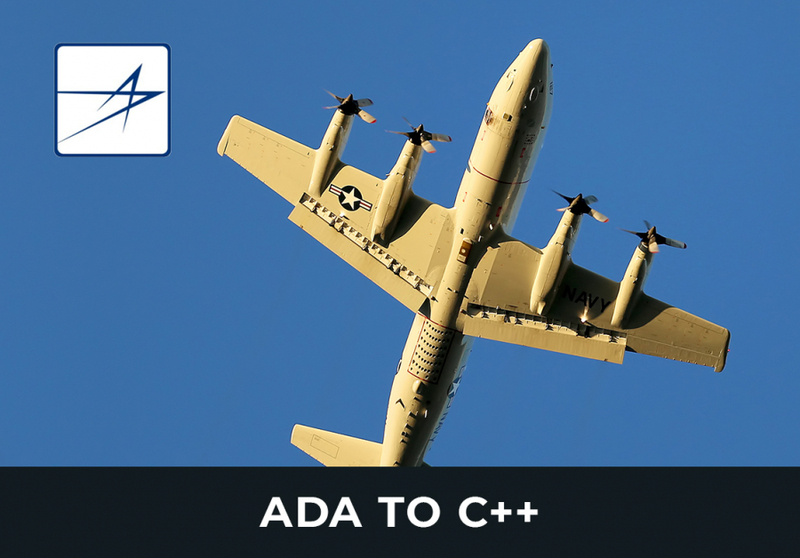 Northrop Grumman contracted TSRI to perform a feasibility pilot for the automated transformation of the JMPS legacy Ada code into modern C++, and then continued on to a full modernization of the JMPS into C++. The U.S. Navy contracted Digital Systems Resources (DSR) to modernize the Mission Computer Fault Isolation Program (MFIP) aboard the Navy's E-2C Hawkeye Airborne Early Warning aircraft. 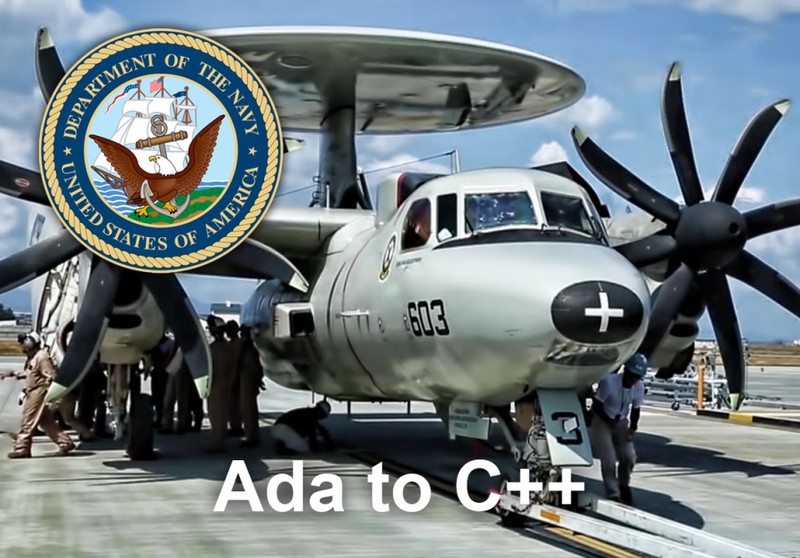 DSR, via a US Office of Naval Research (USONR) recommendation, contracted with TSRI to migrate MFIP's legacy Ada into modern C++. The National Endowments for the Arts (NEA) Grants Management System (GMS), Financial Management System (FMIS), and Automated Panel Bank System (APBS) were unique one-of-a-kind 27-year old legacy systems written in Wang VS COBOL, running on a WANG VS Operating System, and using a WANG VS DMS database. TSRI was engaged to transform these systems into C++ and completed the project successfully in 7 months. The System Engineering and Sustainment Integrator System includes ground-based radars, space surveillance sensors, ground-based missile warning, and optical systems operated by United States Strategic Command and Air Force Space Command. 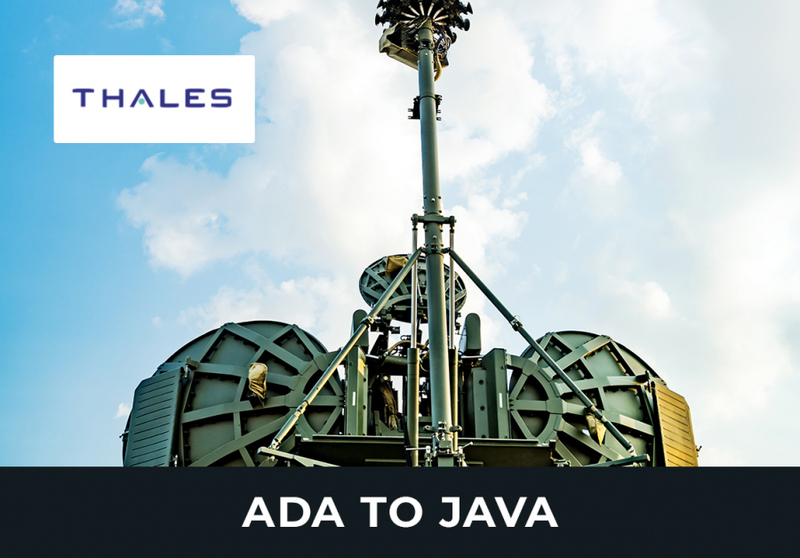 Command and control for these radar systems was written in multiple legacy languages, and needed transformation to modernized, refactored C++. The MILSATCOM Program Office under the Command and Control System Consolidation (CCS-C) program required replacement of the Air Force Satellite Control Network Command and Control Segment (SCNCCS). This J73 JOVIAL system was modernized to provide satellite control capabilities in support of the Air Force Space Command MILSATCOM satellite programs, including MILSTAR, DSCS III, NATO IV, SKYNET 4, Advanced Wideband Gapfiller, and Advanced EHF. The Ballistic Missile Early Warning System (BMEWS) radar system provides intercontinental and sea-launched ballistic missile detection, early warning and attack assessment capabilities. These early warning radar systems were being upgraded to improve target detection and mid-course target tracking for the hit-to-kill Exoatmospheric Kill Vehicle (KEV) of the Missile Defense Agency's (MDA) ballistic missile defense (BMD).